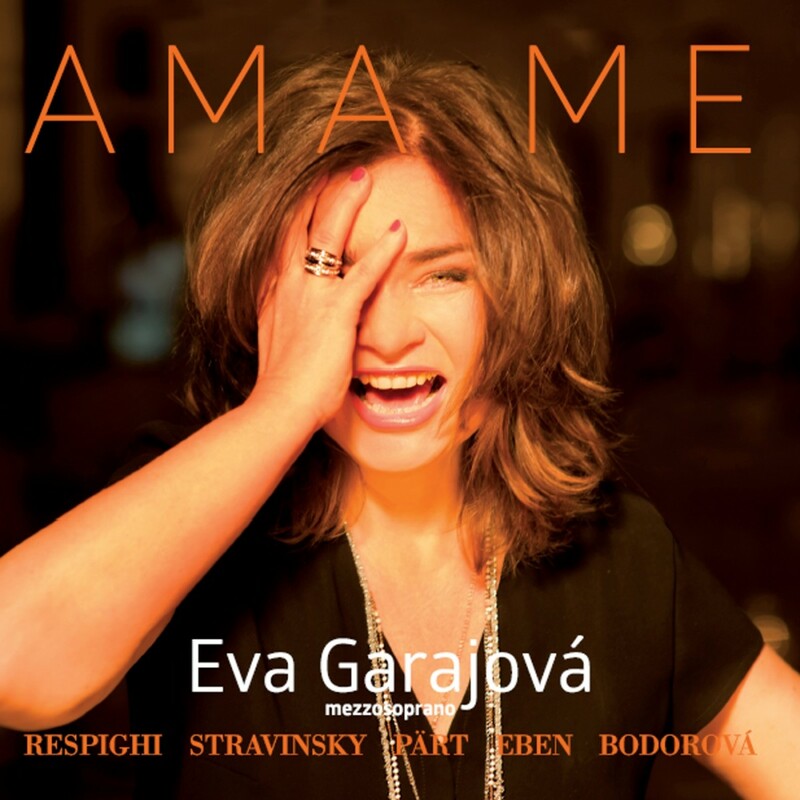 AMA ME - Eva Garajová - Mediální ohlasy - ArcoDiva management - Hudební agentura - Hudební agentura ARCO DIVA Management s.r.o. The rationale for this unconventional-looking programme is one of music for mezzo with accompanying instrumental forces. The Respighi and Stravinsky date from the years 1914-16 whilst Sylvie Bodorová, an Arco Diva favourite, brings the recital pretty much up to date with her newly composed Three Psalms. Respighi’s The Sunset takes verses by Shelley and sets them for mezzo and string quartet, though he was later to arrange it for an accompanying string orchestra. Respighi laces this passionate love-longing-and-death poem with refined impressionistic gestures, and vests it with considerable colour. Quite whether Eva Garajová’s operatically strident singing is appropriate to the more refined and nature-narrative elements of the poem and Respighi’s setting of it is a moot question. Irmgard Seefried and Janet Baker are just two of the most eminent exponents of the string orchestral version on disc whilst Anne Sofie von Otter and Magdalena Kožená have recorded the string quartet original. All four - but in this context specifically von Otter and Kožená - offer far more nuanced and less invasive accounts. Garajová’s vibrato is unrelieved and as she starts in full operatic mode there’s not much expressive leeway. Clarity of articulation also suffers.